In the blink of an eye (or so it seems), your chubby-thighed crawler has morphed into a walking, talking beanpole. You’ve waved goodbye to the days of dribble bibs and purees, and to the shrill shrieks of your babbling baby. And now? Well, before you know it, you’ll be tiptoeing down the corridor, listening to the hushed whispers of ghost stories and the muffled munching of a midnight feast. Could it be the start of a new era? The era of the bunk bed? Bunk beds are excellent space savers and are fantastically fun. Whether your children share a room or your child often has friends to stay, a bunk bed may just be the ideal solution. If the thought of a bunk bed conjures up the image of a rickety steel-framed mass of ugliness, then think again. Our spectacular range of bunk beds is guaranteed to blow you away. Have you guessed that we absolutely adore kid’s beds here at Cuckooland? To assist you in your hunt for the perfect new bunk, we’ve put together a handy guide. A bunk bed is simply two standard single beds which are affixed together in a ‘stacked’ format (one on top of the other.) Some bunk beds can be separated to make two singles, if required. A bunk bed is a fantastic sleep solution if children are required to share a room and space is limited. 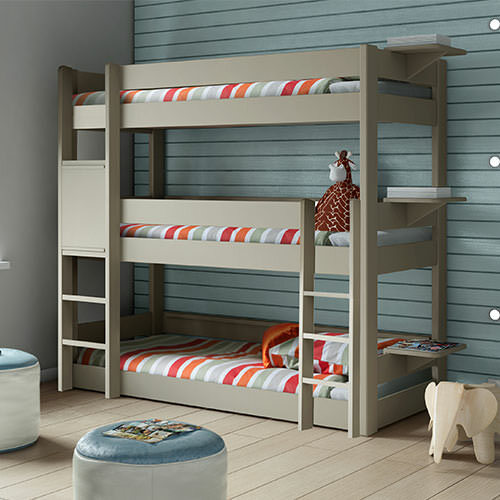 Many bunk beds come with features such as storage and shelving which helps organise the overall dynamic of a bedroom. L shaped and corner bunks are a more modern take on the traditional bunk bed, and will look great in the corner of a bedroom. 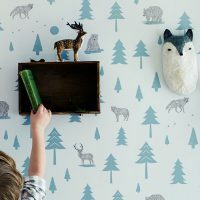 These designs leave space around the bottom bunk that can be filled with a piece of furniture, a bookcase or some cosy cushions. This design is also more sociable, allowing children to see each other and interact more easily than in traditional bunk beds. Some single beds come with a pull out trundle that provides an additional bed to sleep on. 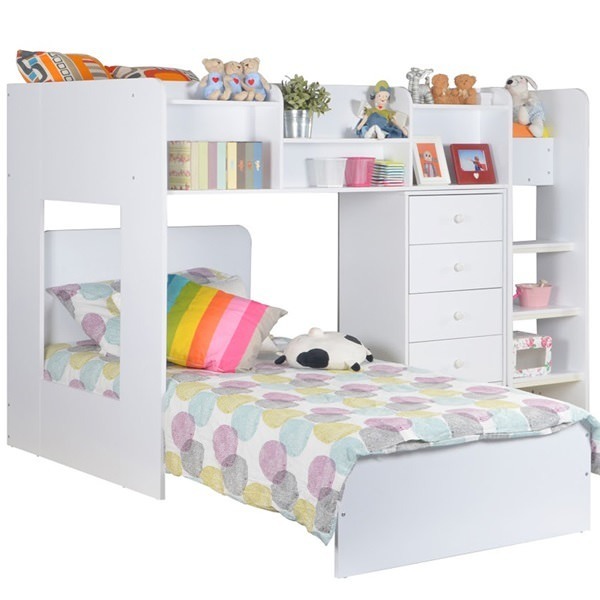 This multi-purpose style bunk bed is perfect if you need extra space for sleepovers etc. The trundle bed is usually located directly underneath the main bed. Simple pull out from the lower drawer of the bed and voila, a second bed is ready to use. A high sleeper or loft bed is a single bed which is elevated and reached by a ladder. Unlike the standard bunk, the space located underneath the loft bed can be used for a variety of reasons. Some of the high sleepers come with a futon style addition which can be provide a seating area in the day and pull out as a bed at night. 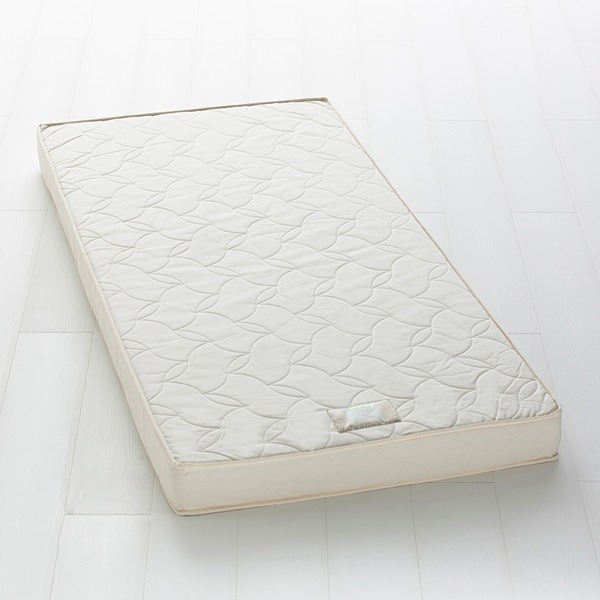 Other options for high sleepers is to place a mattress or airbed in the available space as a temporary bed for guests. A triple bunk bed is similar to a standard bunk but has an additional level. Three beds are usually situated on top of each other, with bunks two and three reached with a ladder. Triple bunks are considered to be not only clever space savers but a good investment for growing families with limited space. A bunk bed with trundle is considered a triple bunk bed. Unlike the standard triple, this model is built like a standard two person bunk bed with a an extra bed located within the base. The trundle bed pulls out and slots back easily, meaning that even modestly-sized bedrooms can accommodate three. And because the beds are separable, they’ll be able to see your kids into their teens. A family sleeper is a two level bunk which features a single sized bed on the top level and double sized bed underneath. The term family sleeper comes from a family of three (so mum, dad and kiddie) sharing the same sleep space. Parents sleep snuggly on the bottom double bunk as a little one snoozes peacefully on the top bunk. For siblings with a large age gap, the family sleeper is ideal. 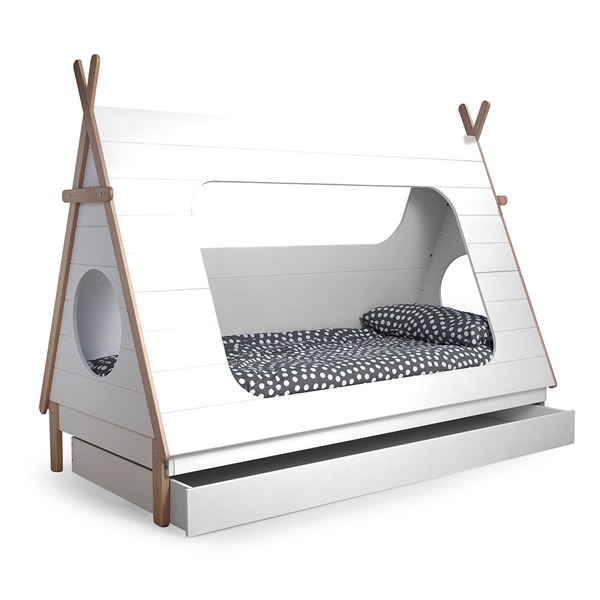 Teens will have all the space required on the bottom double, whereas younger ones can rest easy in the single above. 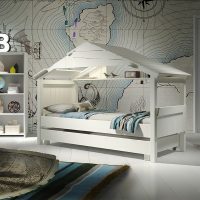 Whereas bed frames for bunk beds and triple bunk beds can vary due to structure and design, the standard sizes for mattresses remain the same for children’s bunk beds. A typical bunk bed will require either a UK or European sized single mattresses. The exception to this rule is triple bunk beds which may feature a double mattress on the lower bunk. Always check the measurements carefully when selecting a bunk bed to ensure you purchase the correct mattresses. Thanks to sustainable sourcing, bunk beds are available in a wide array of wood. From maple to oak, pine to MDF, Wooden beds are the ever popular choice. As timber is durable and long-lasting, it is held in high regard when it comes to bed manufacturing. What’s more, non-toxic, water-based lacquers are often used to protect timber from stretches and bashes, making wood a perfect choice for children’s beds. 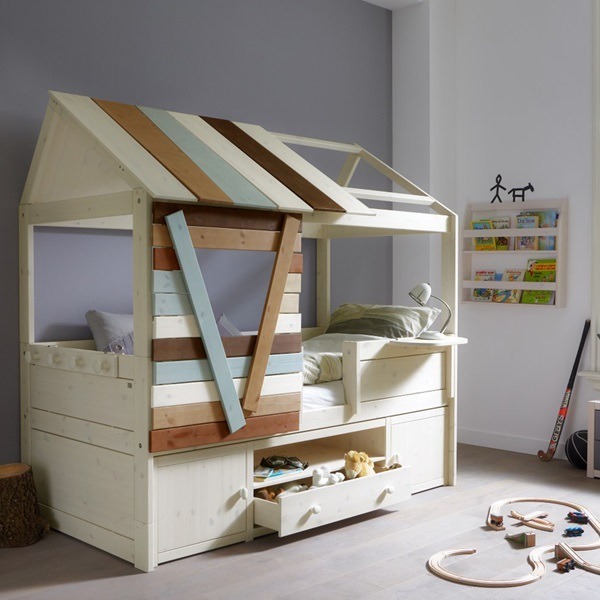 Children’s bed designers tend to prefer Pine and MDF. These two types of material lend themselves well to a bunk bed or triple bunk design. 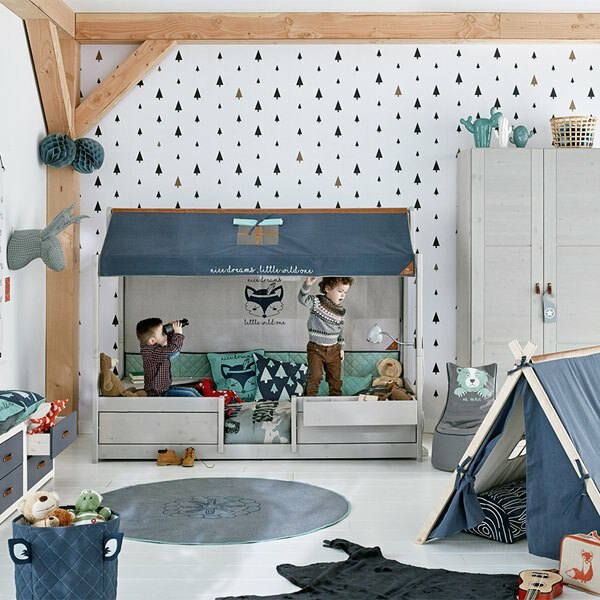 Pine creates a solid base whereas MDF can be manipulated to create unique designs, which are favoured when its comes to kids beds. As sturdy as wooden bunk beds are, it’s worth noting that moving a wooden bunk bed once assembled can prove difficult. Metal bed frames can be made from steel tubes or wrought iron. A good quality metal framed bunk bed is usually made from steel and features a tubular design. Steel frames are often coated with a powder-coat finish which adds to the aesthetics and keeps the frame looking better for longer. What’s more, Steel provides a structure which will support growing bodies. Metal framed bunk beds tend to be cheaper than their wooden counterpart and are good for creating a modern look. 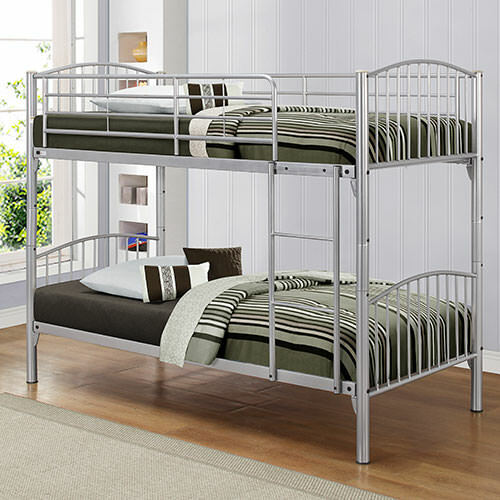 Some metal bunk bed or triple bunk beds can be separated to create single beds too. The drawbacks of a metal bunk bed are that over time, they can become noisy and squeak when weight is applied to the frame. This is a common issue because of wear and tear. Always a bonus when it comes to kiddie furniture, additional storage is now the main feature for some bunk beds. pull out drawers and built-in wardrobes are amongst the most popular storage additions for bunk beds. 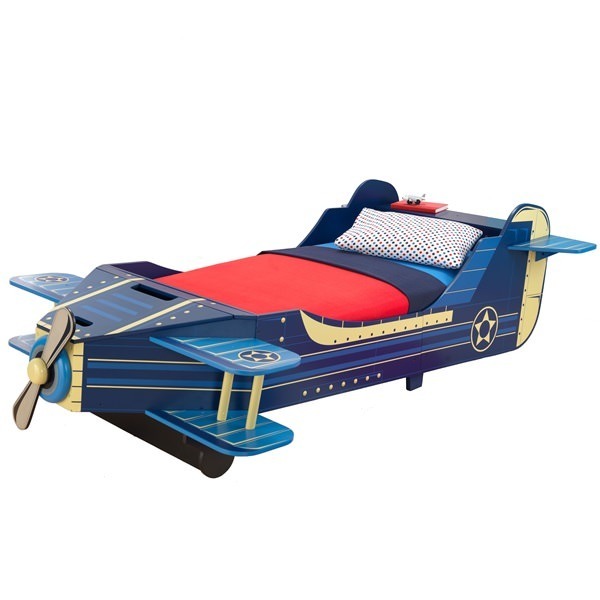 Kids love creative design and bed designers have heeded this call in the most spectacular way. 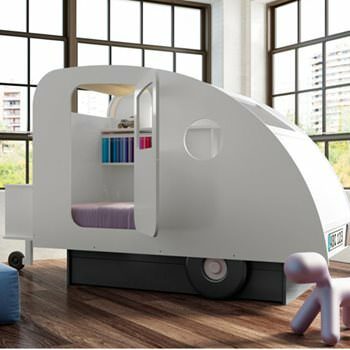 For replica rockets, race cars, castles, and treehouses; bunk bed designs are as limitless as a child’s imagination. When those little rascals outgrow the bunk bed set-up you no longer have to rush out and buy new beds. Thanks to the separation capabilities of some bunks and triple bunk beds, personal space is only a few tools away. A sleepover can be a nightmare when it comes to finding space for everyone. Luckily designers have jumped on this issue and created bunks with an additional pull-out trundle bed. The trundle bed does not compromise on the structure or integrity of the overall design and can be easily stowed away when not in use. You can never have too many shelves in a child’s room. 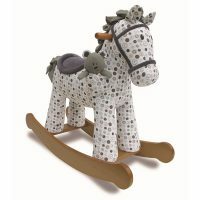 From knick-knacks to books, teddies to flowerpots; a good shelf has 1001 uses in a kids bedroom. So it’s only natural that some bunk beds have doubled up with shelves to create some extra space for all those displayable bits and pieces. Adults, prepare to go green with envy. For the bunk beds of yesteryear have nothing on today’s fab designs. With fun as standard, bunk beds of today feature crazy and cool add-ons such as rope ladders, slides and even swings! Follow all assembly instructions with care. Always implement safety rails where provided. The top of a mattress should be at least 5 inches below the top of a rail. Ensure the correct sized mattress is used for each bunk. Ensure the ladder has sufficient clearance and permanently affixed to the frame. Consult the manufacturers guidelines for maximum weight on each bunk. Check the minimum and maximum age restrictions for the bunk bed. 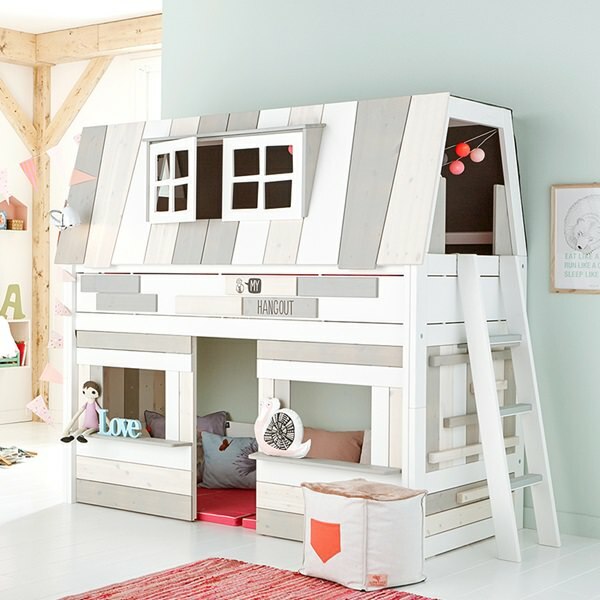 We are super-duper proud of the bunk beds that we source at Cuckooland. Our collection is characterised by ingenious design and top quality, and the beds we offer are always original and delightful. Kids: prepare to be the envy of your school, and parents: prepare for the little queue of children that are just desperate for a sleepover. At Cuckooland, we like to make everyone happy. 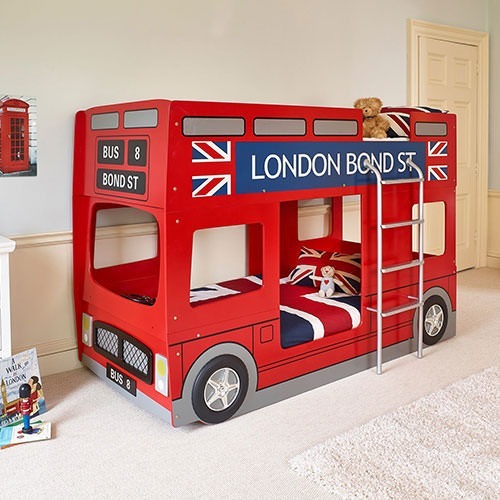 A fun bunk bed will make bedtime much more appealing, whilst ensuring that playtime is extra special for the children. And your life may become a little bit easier when bedtime arrives. No doubt those space-saving storage solutions will come in handy too. 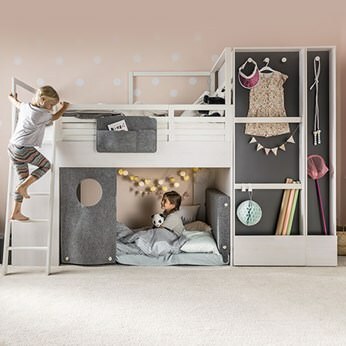 When you’ve finally made up your mind about which brilliant bed to buy, there will only be one difficult decision left to make… who on earth is going to get the top bunk! ?